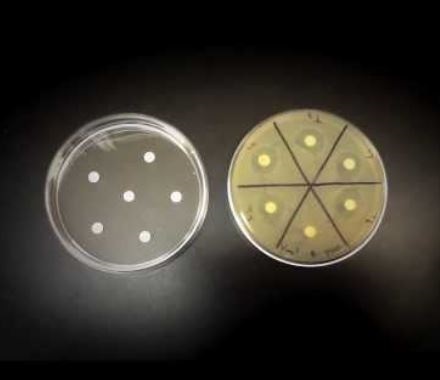 The Kanamycin Monosulfate EZ Pak™ is the fastest and easiest way to make a set amount of sterile kanamycin monosulfate solution. The kit includes pre-weighed kanamycin monosulfate powder, a sterile filter and a sterile container for the filtered solution. No need to calculate, simply add the stated amount of deionized H2O, filter, and pour into the labeled bottle for easy usage. 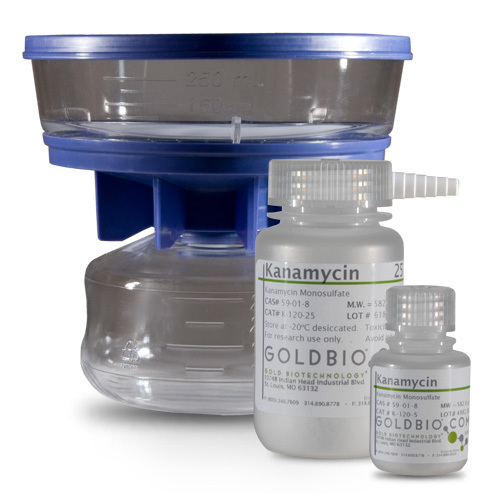 The EZ Pak™ includes high quality GoldBio kanamycin monosulfate and the sterile solution is ready for tissue culture, bacterial media, or any number of uses. The 25 ml, 50 ml, and 100 ml require the provided vacuum manifold for easy vacuum filtering. EZ-Pak Protocol for Reconstitution and Filtration of Kanamycin.